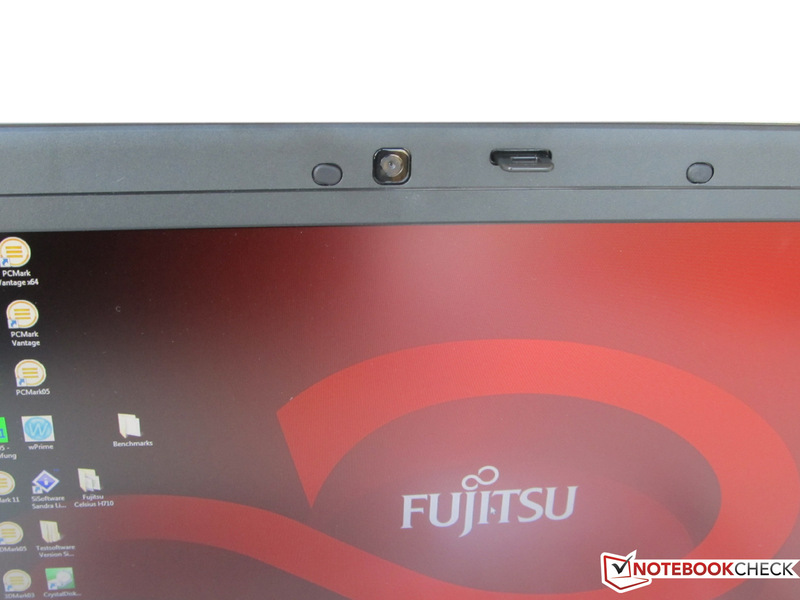 The Fujitsu CELSIUS H710 WXP11DE bids high workstation performance in a "small" 15.6 inch laptop. The mobile workstation is equipped with a second generation (Sandy-Bridge) Intel quad core processor and a high performance Nvidia graphics. 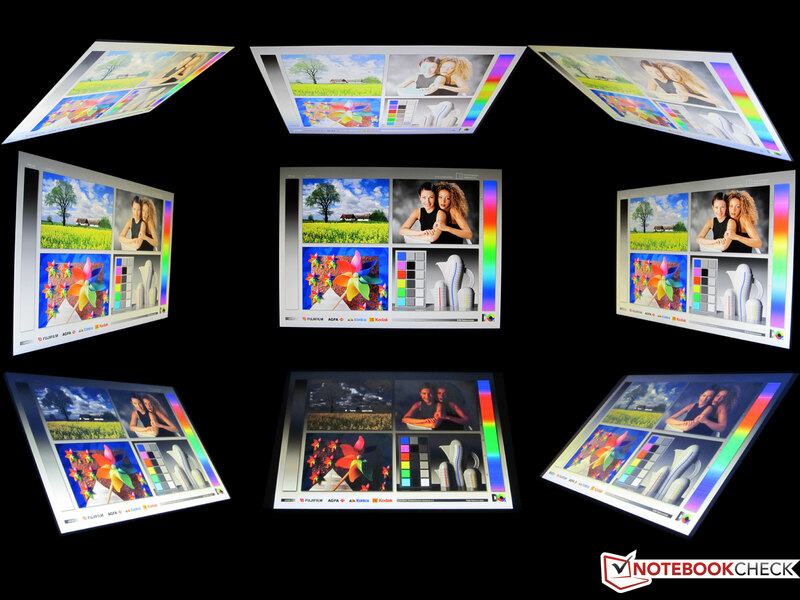 The matt display, with a screen diagonal of 15.6 inches, has a resolution of 1920x1080 pixels (Full HD). The dedicated Quadro 1000M graphics card, which is equipped with 96 cores, is optimized for computer aided design, digital content creation, geographic information systems, architecture, engineering, construction and medical imaging. The laptop can connect to the Internet almost everywhere via WLAN, Bluetooth and UMTS. The Celsius H710 has extended security functions, such as a fingerprint sensor or CompuTrace, which protect the data on the device against theft or should the notebook be stolen. The workstation's feature list sounds good: First there is the Core i7-2820QM quad-core CPU with 2.3 GHz and an NVIDIA Quadro 1000M graphics with 2048 MB of video memory. A 265 GB SSD (solid state drive) is used as the data memory in our H710. 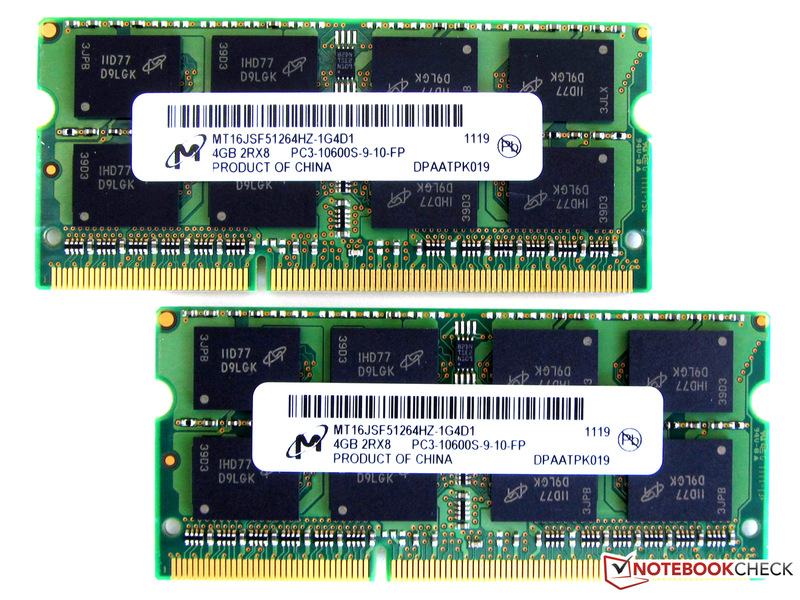 The DDR3 RAM that is equipped with 8 GBs in this model can be extended up to 16 GB. 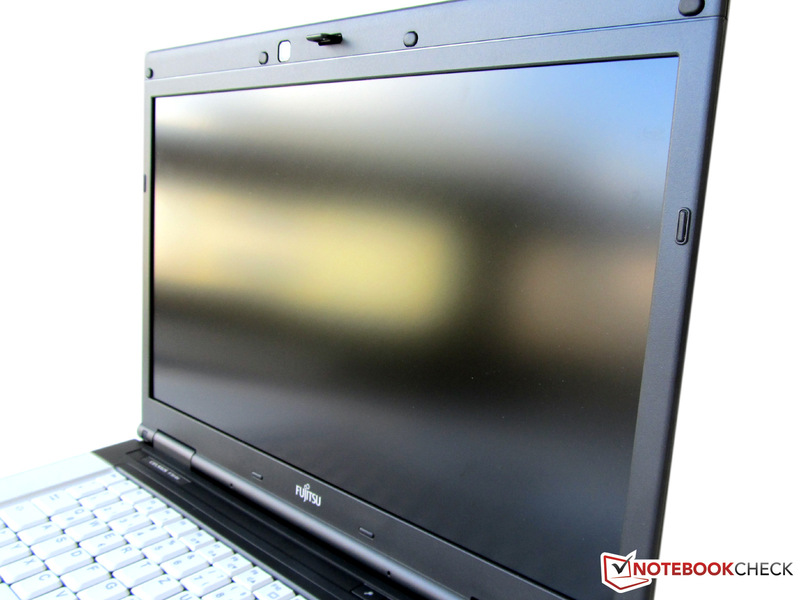 The Fujitsu CELSIUS H710 WXP11DE has a price of about 1600 euros in this configuration. The Celsius H710's chassis has been made in black and white. However, the used materials, mostly plastic, make a very cheap impression for a professional workstation. The case shell comes in classic black and the keyboard is white. The wrist-rest and lateral speakers are silver and look as if they have been in use for quite a while. White is very popular among Apple, respectively lifestyle products, but it seems rather unsuitable in this case. We noticed positively that the workmanship and stability are very good. The display lid can be easily opened without making the lower part lift as well. The display bezel, which is held by two strong hinges, doesn't allow twisting even with a lot of force. The case lid is joined to the rest of the notebook by a deep grasping transportation hook in a closed state. You'll find two different openings on the Celsius H710's bottom. 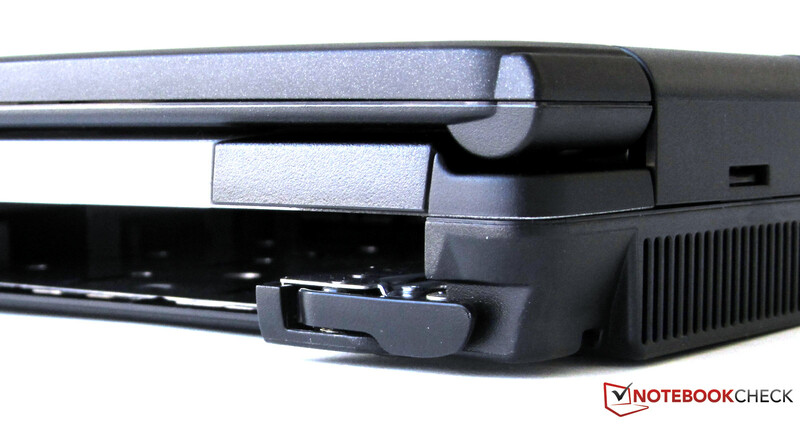 They conceal components like hard disk and RAM, as well as the battery. It's striking that the Fujitsu has been bestowed with leather in some places. The notebook's bottom got especially hot in these areas during the stress test. The leather applications apparently are to provide a certain amount of protection here. 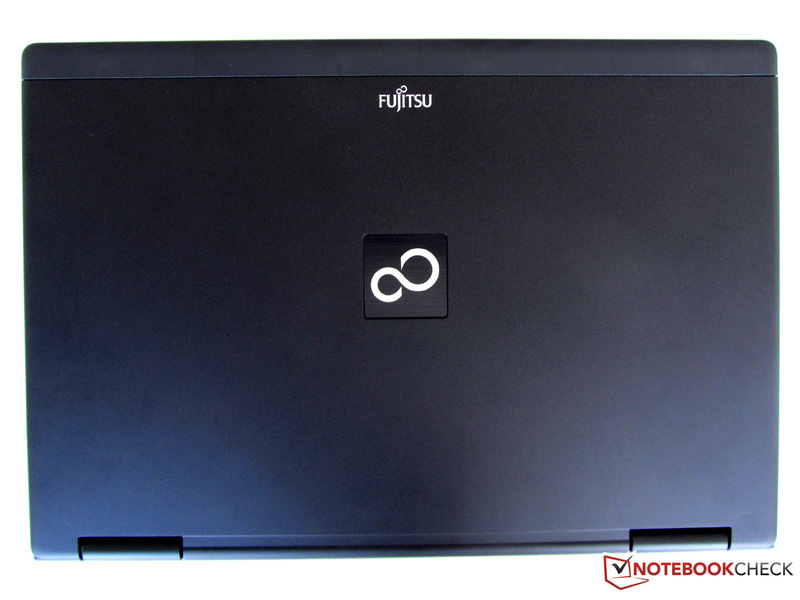 The Fujitsu workstation doesn't belong to the lightest laptops with about 2.8 kg. In return, you have a still strong enough power bundle that can easily cope with almost every task at hand. The outer dimensions are 36x372x255 mm like in almost every notebook with this display size, with exception of the slim line series that aren't found in the workstation field anyway. The interfaces on the device are very impressive in terms of connectivity and cover all needed ports pragmatically. 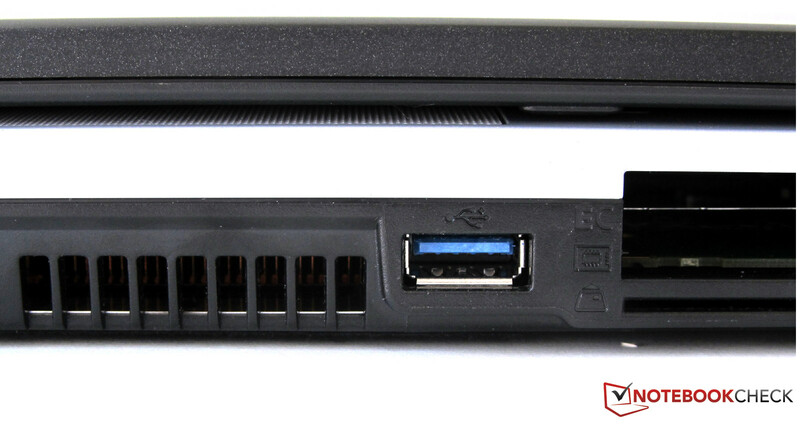 There are a total of four sockets for external USB devices on the laptop. One of them is USB 3.0 compatible. 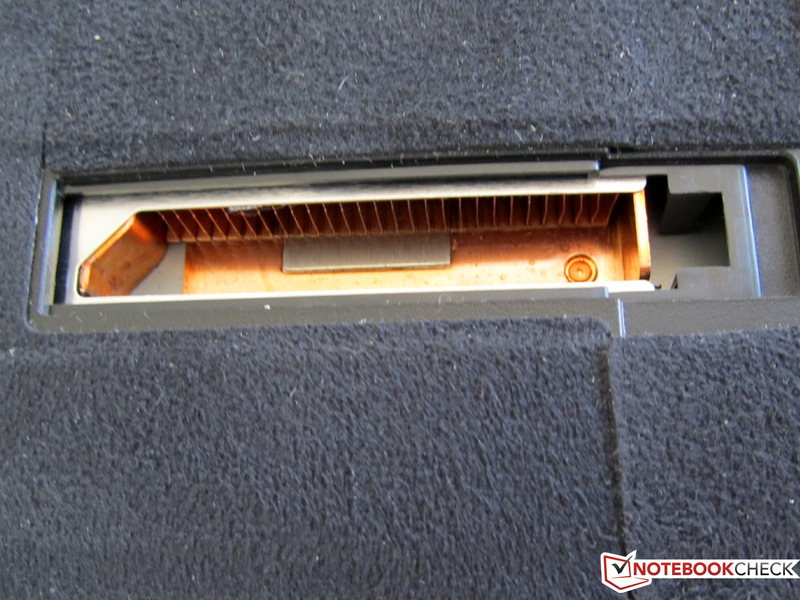 Other interfaces on the notebook include an eSATA port, a Gigabit LAN and the standard two audio sockets for headphones and microphone inputs. 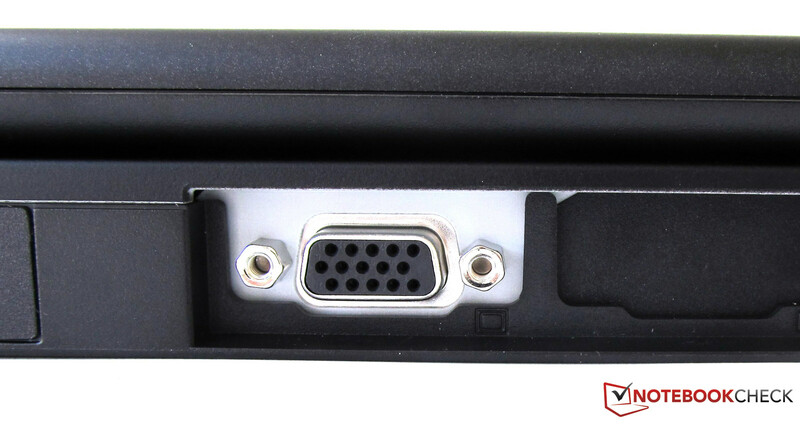 The H710 has both a display port and a VGA port for video outputs to an external display. 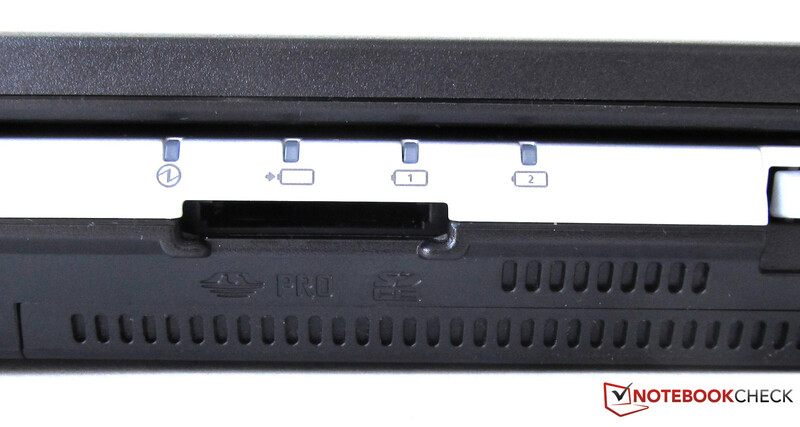 Moreover, there is an ExpressCard54 and a PCMCIA slot available on the side. Fujitsu has done a good job with the port distribution, which allows every port to be accessed easily. It gets a bit tight at the group of three USB 2.0 ports. Thicker plugs or USB flash drives can only be used simultaneously to an extent. 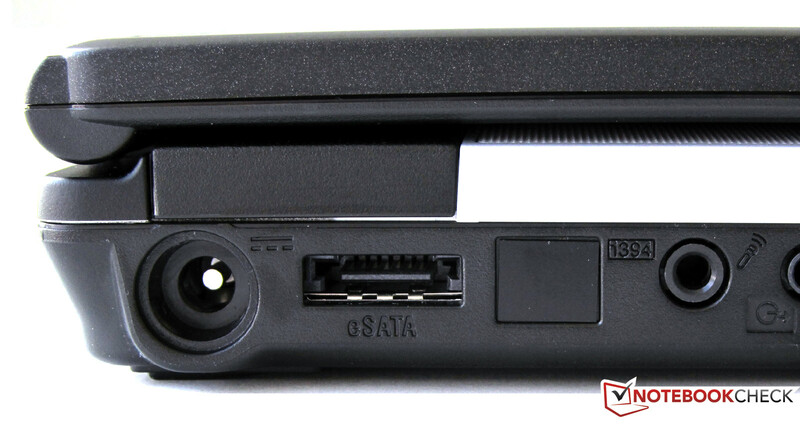 Both video out sockets (display port and VGA) are located on the rear. 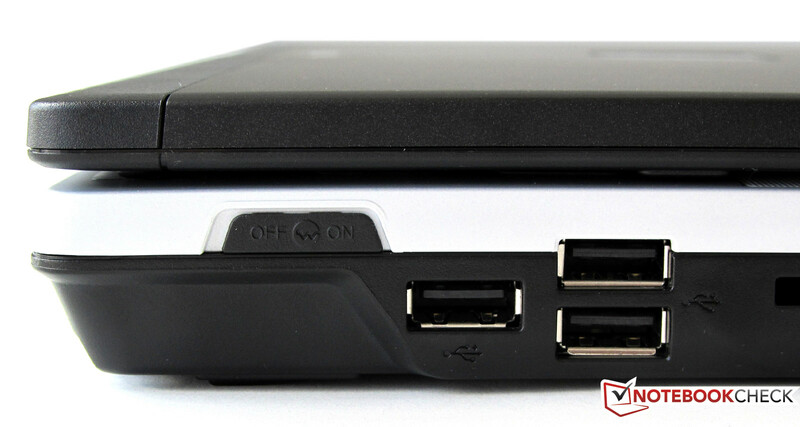 The ports usually used for a longer time (LAN, power socket) are also on the rear, respectively rear area. Thus, annoying cables beside the laptop is kept within limits even without a docking solution. 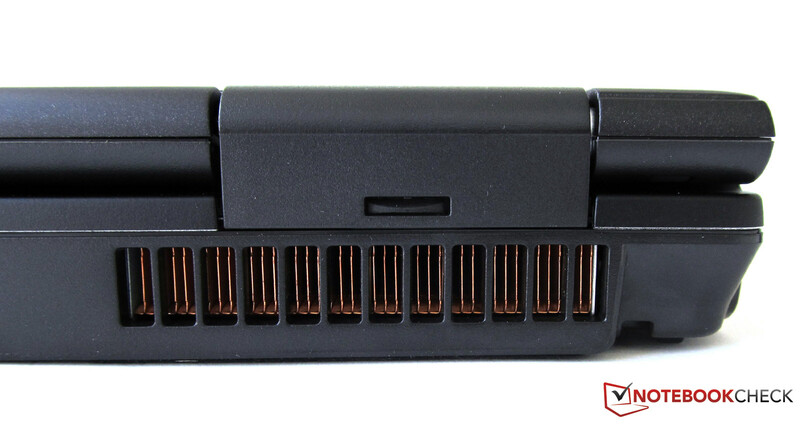 A card reader is placed on the front and it supports a variety of flash memory cards. In addition to standard SD and MMC formats, it can also read and write MemoryStick (MS) and Pro Series card models. 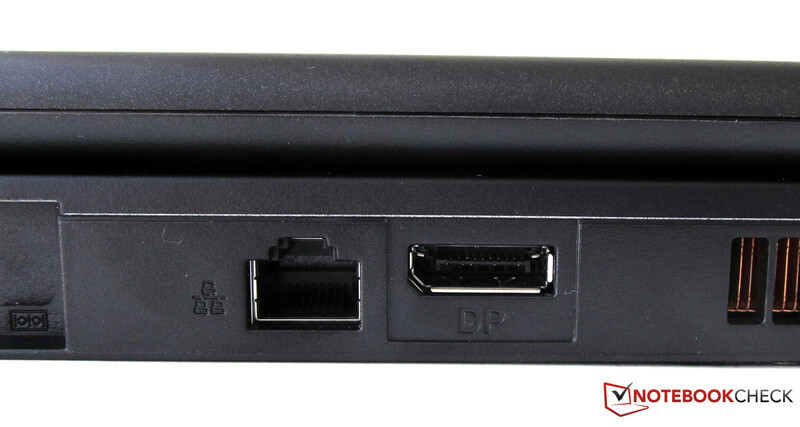 There is even a port for an optionally available docking station on the device's bottom. The port replicator costs between 100 and 130 euros, depending on the supplier, and extends the interface array by a serial and parallel port and a DVI socket, among others. The Fujitsu Celsius H710 bids several options for connecting to the Internet or corporate network. First the wired option via the rear-sided RJ45 socket (10/100/1000 compatible LAN). Secondly the workstation has wireless LAN that works with the standards IEEE 802.11 b/g/n. The H710 additionally has Bluetooth and a 3G compatible WWAN module. 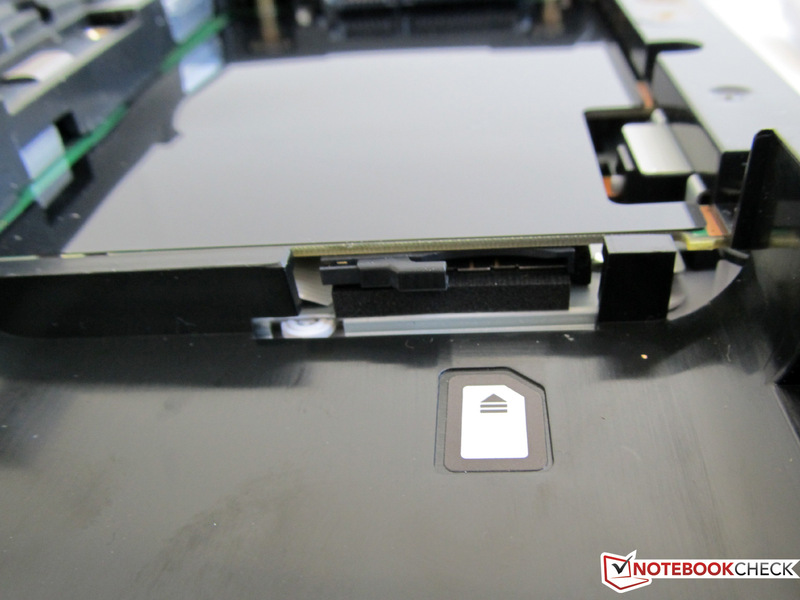 The fitting SIM card from your preferred provider is inserted in the corresponding slot, located underneath the SSD module. Consequently, a possible frequent exchange of the SIM card isn't very easy. In terms of security, the Celsius H710 can serve with many functions. The security lock (Kensington lock) and a Trusted Platform Module (TPM 1.2) security chip belong to these, as well as the fingerprint sensor (biometric log-in protection). Besides that, the laptop is equipped with CompuTrace enabled BIOS and Advanced Theft protection so that valuable data is protected against unauthorized access, all options regarding localization and destruction of data theft are available. However, you have to purchase the corresponding additional services beforehand. Fujitsu restricts itself to the most necessary in terms of supplies. Print is only found in form of a few brochures and notes for this device, as well. Nevertheless, other manufacturers can take a page from its book in terms of included CD media. A total of six DVDs are in the H710's box, among them Windows 7 in the 32 and 64 bit version (recovery DVD). Nero 9 Essentials and drivers as well as system instructions are on the other DVDs. Moreover, there is a DVD called Premium Suite 2011 included. Among other programs, it includes Corel Home Office, Abby PDF Transformer 3.0 and various graphics programs from Corel and Serif. There is even more software installed on the Celsius H710 in its state of delivery. For example, a 60 day trial version of Norton Internet Security 2011 anti-virus program is onboard. An extension is subject to charge beyond that. This model has a warranty period of 36 months. This warranty includes a collect & return service/bring-in service. Of course, upgrading the warranty period and the scope of service is possible up to a 5 year onsite service. It costs about 250 euros depending on the package. 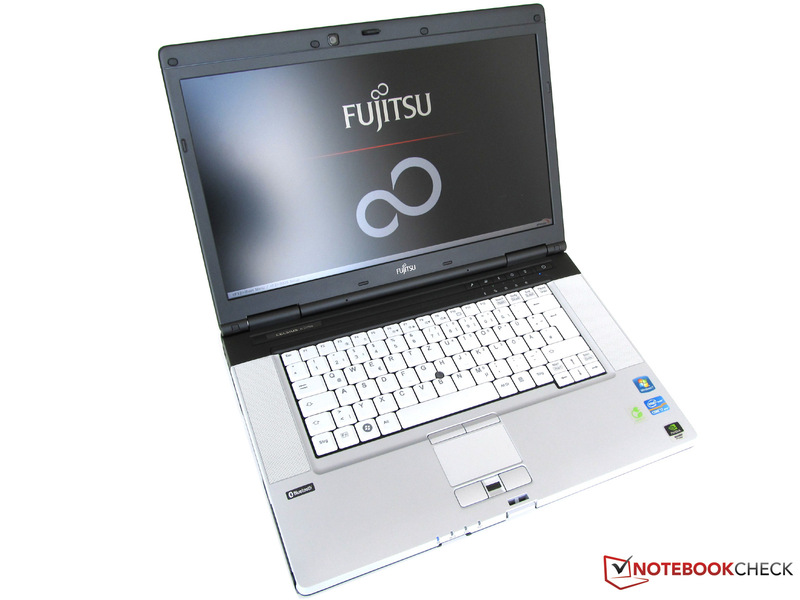 The Fujitsu H710 is equipped with a white QWERTZ keyboard that has 86 single keys. However, it doesn't have a separate number pad. The spill proof keyboard's keys are easy to use, and don't have an audible clattery noise. Typing during the test was very pleasant. Merely the pointing device, placed in the keyboard's center and serves as a mouse replacement in addition to the touchpad, was occasionally annoying during fast typing. Due to the lack of a separate number pad, a few keys are mapped multiple times. 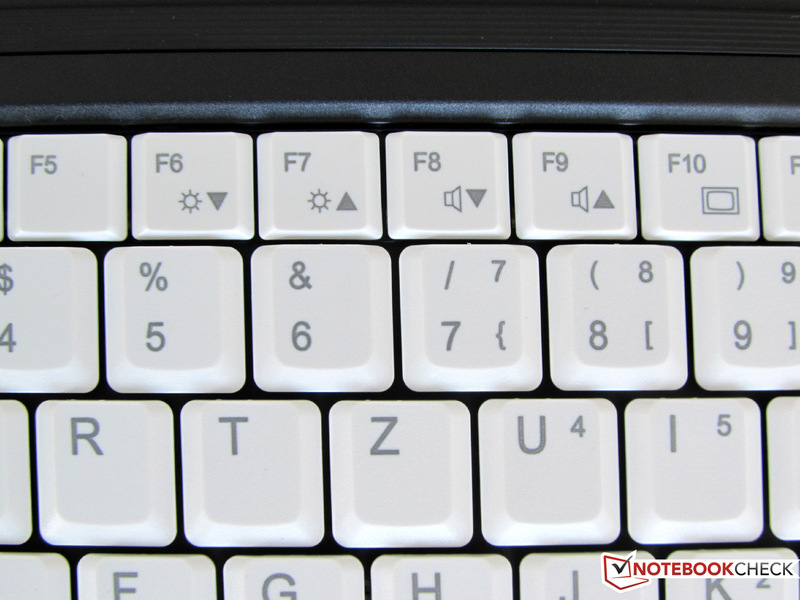 The key combinations that are possible with the FN key are still within limits, though. The four arrow keys on the Fujitsu Celsius H710 are very small and are on the same height as the rest of the keyboard. Fujitsu has placed a few hot keys above the keyboard's right. For example, a key that locks the operating system. A menu can be opened with another button and it allows you to select the various power saving modes directly. Another key opens a program for managing network functions. 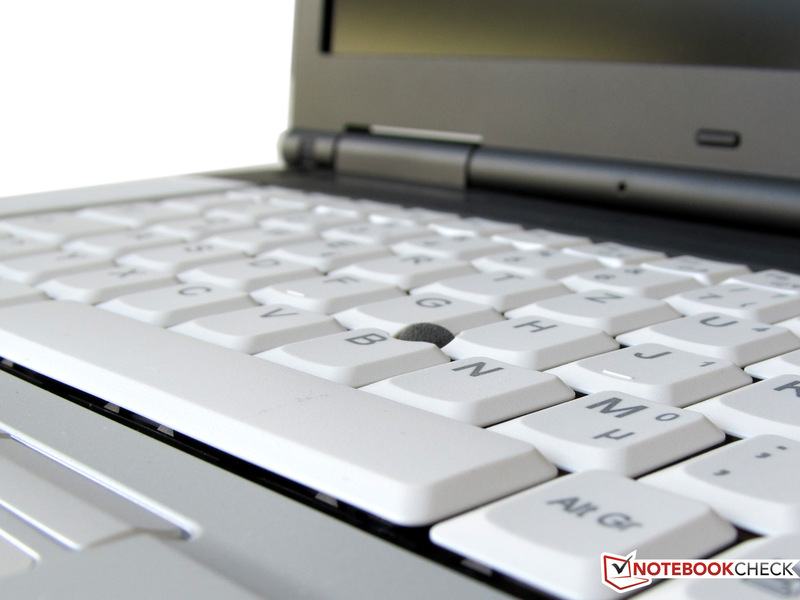 A fairly small touchpad is placed in front of the big keyboard. It didn't show any signs of possible multi-touch inputs or gesture control support in the test. We also couldn't find any other specifications about the touchpad on the manufacturer's homepage. We also searched for a bidirectional scrolling field on this 65x37 mm small touchpad in vain. However, the gliding traits of the touchpad's surface are very good. 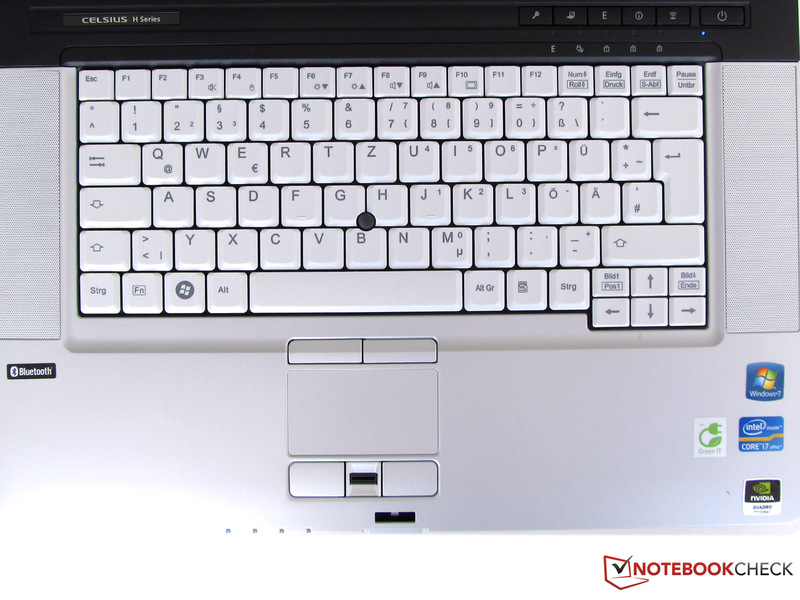 Two keys are found in below, respectively above the touchpad that manage mouse key functions. The fingerprint sensor is located between both lower mouse keys. There unfortunately is no key combination that disables the touchpad. 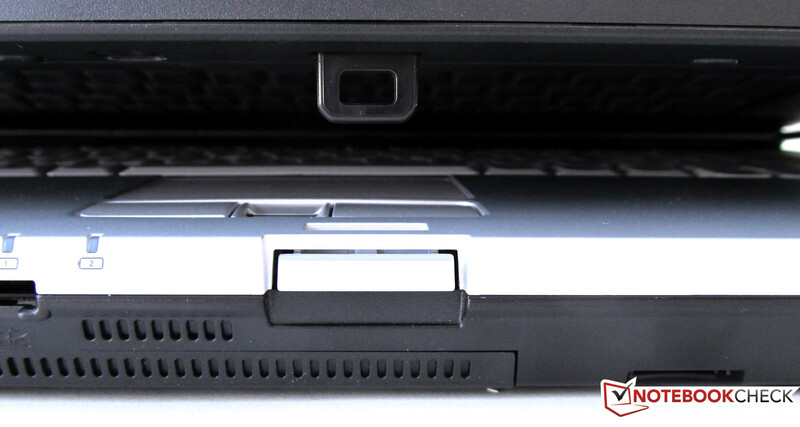 A 2 megapixel webcam is installed in the center above the laptop's Full HD display. It can be used with Skype or other messenger programs. The Celsius H710 is equipped with a 15.6 inch LED backlit display that has a resolution of 1920x1080 pixels (Full HD) in an aspect ratio of 16:9. The screen is AR coated and thus hardly throws back any reflections. Additional monitors can be connected via VGA or the display port interface and allows creating a multi-display workplace in the office. The screen can be either extended or cloned on the external displays. The external resolution can be as much as 2560x1600 pixels via the display port. We determined rates ranging from 298 cd/m2 up to a maximum of excellent 337 cd/m2 at nine measuring points in maximum brightness. This results in an illumination of equally very good 88%. We could assess an agreeably high 552:1 as the Full HD display's contrast. The needed low black value of 0.61cd/m2 was measured in maximum brightness for this. The workstation's color space nearly covers the sRGB color spectrum (t), as in the Apple RGB comparison. Larger deviations are first shown in a direct comparison with AdobeRGB (t). It is clearly failed. The Full HD screen shows that it is very dependent on the prevailing light conditions and insolation outdoors. The Fujitsu Celsius H710 can be used outdoors without restrictions in hazy weather. On the other hand, this display has to endure quite a bit in bright sunlight since the color brilliancy and the contrast clearly suffer then. It's better in the shade. At least you can still work well in the (beer) garden in that case. But the more sun, the less is possible. The Fujitsu workstation display's possible viewing angles are very large. The colors and contrast weren't only strong in a perfect viewing angle. The screen content is still legible for a long time even from the side or additional tilt adjustments. The picture doesn't invert as fast as in other notebook screens when the display is tilted back or forth. The picture was still well visible from both directions in our mandatory viewing angle test of 45 degrees. A difference was noticed when a tilt of +45 or -45 degrees was added, but the display content was still well legible. The picture inverted, respectively faded, but just before a 45 degree tilt. A Core i7-2820QM from Intel is used in Fujitsu's workstation, Celsius H710. This CPU is a quad core processor and is based on the Sandy Bridge architecture. The processor has four CPU cores and can process up to eight threads at the same time thanks to Hyper Threading support. The Core i7-2820QM has a base clock of 2.3 GHz. Single CPU cores can occasionally be overclocked automatically up to 3.4 GHz by the Turbo Boost technology. The processor has a 3 MB level 3 cache and is manufactured in 32 nm technology. An Nvidia graphics card, model NVIDIA Quadro 1000M is built into the system for the graphics. The graphics card has its own 2048 MB video memory. The GPU runs with a clock of 700 MHz. While the competition from Dell, HP and Lenovo partly also rely on the stronger Quadro 2000M, Fujitsu currently doesn't have an option for the stronger GPU. Intel has also incorporated a DirectX 10 capable Intel HD Graphics 3000 graphics card and the memory controller into the Sandy Bridge processor. The CPU's HD graphics isn't used in the Celsius H710. The user can't switch between the integrated and dedicated graphics in either the BIOS or in Windows via the GPU driver. 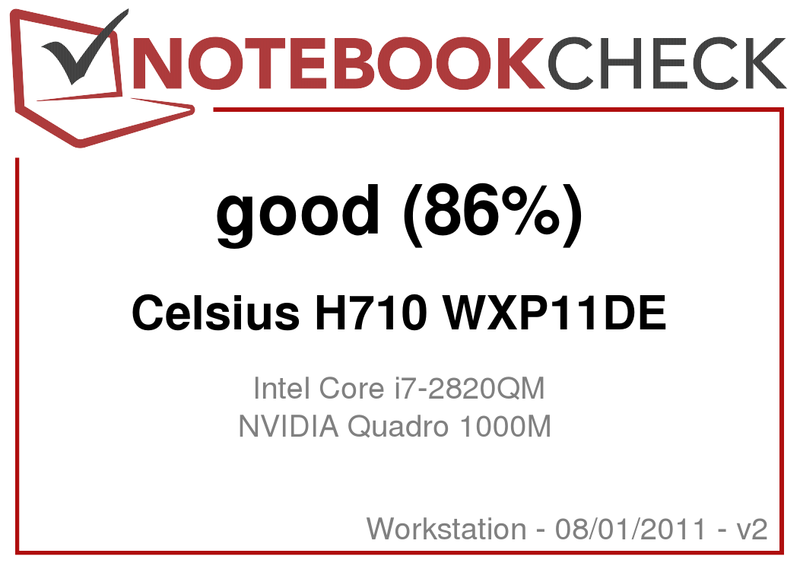 The Celsius H710 laptop uses the Quadro 1000M graphics only. The CPU's maximum clock rate of 3.4 GHz only remained available up to a DIE temperature of about 80 degrees Celsius in the stress test. The Turbo Mode wasn't completely exploited beyond that. The CPU clock settled between 2.3 and 2.5 GHz. The base clock remained stable at a minimum of 2.5 GHz in our hour-long, simulated stress test - a couple of computing intensive programs ran simultaneously for this (Prime95, Furmark). Thus, Turbo Boost could even keep the rate above the base clock in this case. This laptop was no exception and had to run through many tests in the benchmark marathon. In addition to the cross-component test tools, such as PCMark 05, PCMark 7 and PCMark Vantage, which assess the entire bundle (CPU, GPU, memory and hard disk), the hard disk's speed was also tested. Moreover, the laptop had to endure a few synthetic GPU benchmarks from Futuremark, as well as the CAD orientated SPECViewperf test. 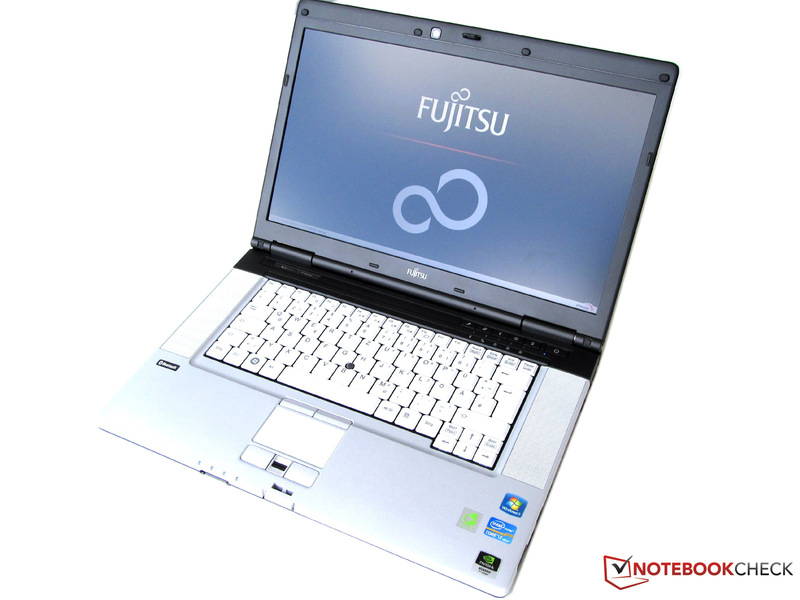 These test tools specify how fast the Fujitsu's laptop, Celsius H710, graphic functions are. We check for possible latency problems, which could evolve due to synchronization errors with external hardware at the interfaces, with the DPC Latency Checker program. The Celsius H710 proves to be quite inconspicuous here. Thus, limitations in the audio or video field shouldn't be expected. The performance tests with Notebookcheck's standard benchmarks delivered throughout good results. Not without reason is the Core i7-2820QM CPU on the 10th place in our CPU benchmark list. When the desktop CPUs are removed from this ranking, this quad core CPU is even on the 2nd place - merely beaten by the i7-2920XM Extreme CPU. The solid state drive (SSD) installed into our test device also ensures very high scores in the system benchmarks. For example, the Cinebench R11.5 CPU test reached 4.41 points and the Cinebench R10 multi CPU test supplied 14455 points. While the R11.5 result is at the lower end of comparable CPUs, the R10 result places itself in the expected range for the used CPU. The Lenovo Thinkpad W520 with the same CPU nevertheless remains in the lead, for example. It can record a plus of 11% in the R10 test. The difference is even clearer in the R11.5 test with 5.6 points. The device achieves a score of 16268 points in PCMark Vantage and thus manages the 7th highest result that is in our database. Only comparably equipped devices that must have an SSD in any event can manage that. 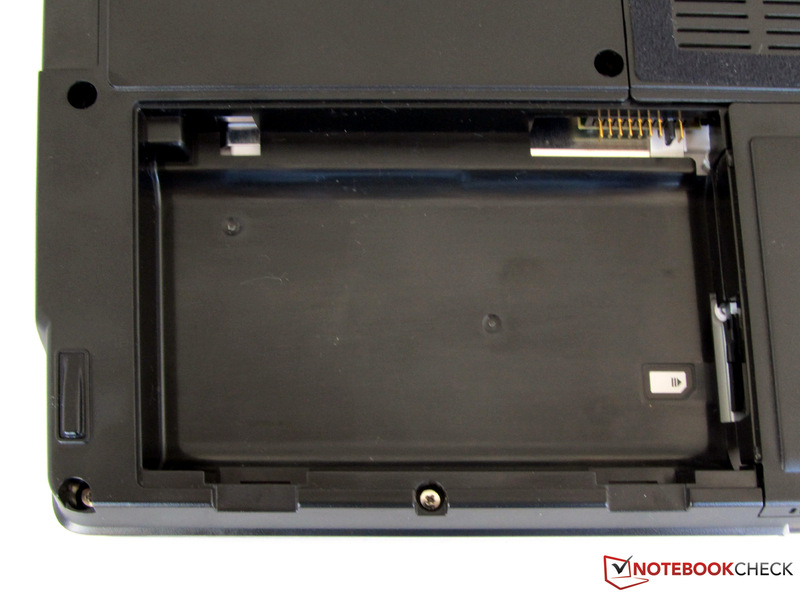 In comparison: The Thinkpad W520 equipped with a conventional HDD only reaches 8614 points here. A score of 3695 was determined in the newest benchmark tool, PCMark 7. This even means an excellent 4th place among all laptops that we've tested. The Nvidia 1000M graphics' video and 3D performance could show what it's capable of in the 3D benchmark programs. The GPU achieved a good score of 1064 points in 3DMark 11. This is about on a par with consumer notebooks that are equipped with a Geforce GT550M or AMD HD6550M graphics solutions. The aforementioned Quadro 2000 GPU in the tested Thinkpad W520 reached 1428 points, so +34%. The dedicated graphics achieved a score of 8509 points in 3DMark06 (1280x1024). This is about on the same level as the popular consumer graphics card, Geforce GT 540M. The Quadro 2000M is clearly in the lead with 11656 points (W520) here. The predecessor, Fujitsu Celsius H700 equipped with an Nvidia Quadro FX 1800M GPU, achieved 6473 points in this test. That equals a performance increase of about 25%. First the older FX 1800M GPU can draw level with the new Nvidia Quadro 1000M with a performance range of 7000-8000 points. Subsequently, we also took a closer look at the efficiency in professional CAD applications with assistance from the SPECviewperf 11 benchmark test and the Dell Latitude E6420, Lenovo Thinkpad W701, the HP Elitebook 8540w and the Thinkpad W520 with a Quadro 2000M GPU. In detail, the Quadro 2000M GPU can partly clearly set itself apart from the 1000M graphics solution installed in the sample at hand. The accordingly equipped Thinkpad W520 achieves in the partial test disciplines, Catia and Ensight, a more than 50% higher score, respectively frame rates. Lightwave benefited the least from the superior GPU (+13%). All other results gained 30-50% on the Quadro 2000M GPU. This should be a powerful argument for the corresponding configuration, especially since the Quadro 2000M GPU is also offered in compact 15 inch laptops, for example in the Thinkpad W520 or even in the new HP Elitebook 8560w and in Dell's Precision M4600 (reviews will follow). 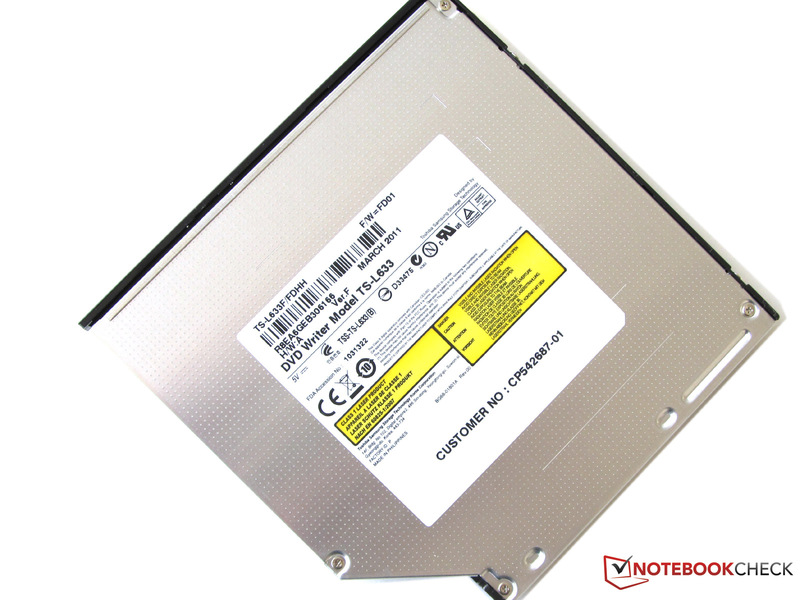 As already noted, an SSD is used in the Celsius H710 rather than a conventional hard disk. 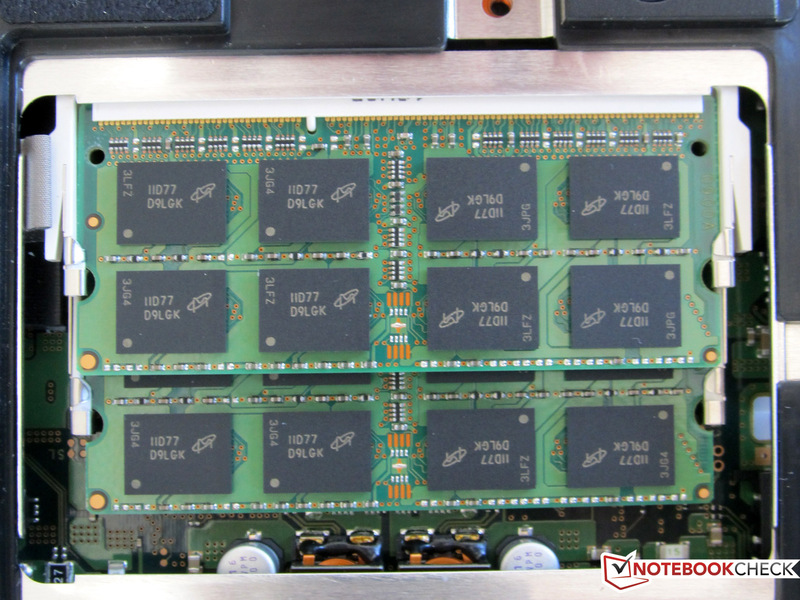 The model THNSFC356GBSL from Toshiba has a gross memory capacity of 256 GBs. The average transfer rate of 168.3 MB/s was measured with HDTune in the test. We could even tickle more out of the SSD module with CrystalDiskMark 3.0. CrystalDiskMark 3.0 determined a rate of 199 MB/s (read) and 179.5 MB/s (write) that we ran five times. We could measure 217.53 MB/s, respectively 171.51 MB/s in sequential read and write with the AS SSD benchmark, which has especially been developed for SSD modules. The SSD memory's access rates were 0.232 ms in read and 1.196 ms in write. 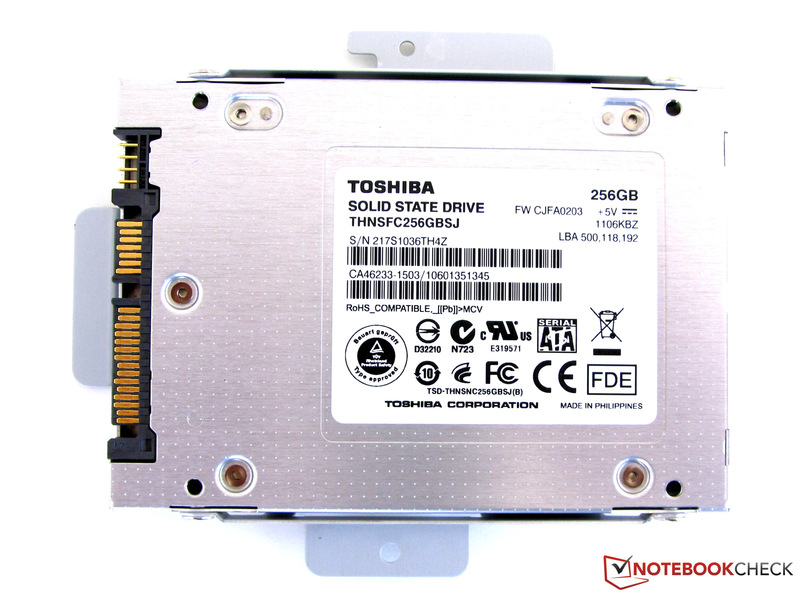 The Toshiba solid state drive is thus very fast, but only bids a limited amount of memory with its capacity of 256 GBs. It's not possible to build a second hard disk into the Celsius H710. Only external hard disks can be connected via USB (2.0 and 3.0) or via eSATA. If you can live with the limited memory capacity, the SSD is certainly the better choice. Not only can the subjective system performance benefit from it (boot time, opening programs, etc. ), but the laptop's soundscape will as well because an SSD works absolutely silently. The Nvidia Quadro 1000M is based on the Fermi architecture that had already found application in the Geforce GT 425M and thus should be able to display even the latest games smoothly. However, you should set the detail level to a medium setting in demanding games (e.g. 1366x768). In return, older and less demanding games can be displayed smoothly even in high details. Moreover, the Nvidia Quadro 1000M is DirectX 11 compatible. We have previously demonstrated that you can also play well on this graphics card with the games Drift 3, Fifa 11, Track Mania Nation Forever and Mafia II. Successfully, as you can see in the following overview. Which games run on which laptop graphics cards can be seen on the basis of current games in our comprehensive database "Computer games on laptop graphics cards". The Celsius H710's cooling system partly has a hard job of effectively discharging the power dissipation, depending on the load put on the Intel quad core CPU and dedicated graphics. However, the fan was agreeably hardly audible in idle mode or in office. The noise level was around 29 dB (A). The ambient noise in the office is usually above this rate, so the fan will hardly be noticed. The computer got a bit louder during DVD playback. We could measure 34.8 dB (A) here. The otherwise fairly quiet fan noise turned into a clearly audible noise in the simulated stress test and the laptop reached a maximum rate of 45.4 dB (A). Not only the fan got audible as time passed, the case also got noticeably warmer. The Fujitsu Celsius' surface already warmed up in idle mode. We could measure temperatures between 27.7 and 36.6 degrees Celsius on the top at a surrounding temperature of 23.6 degrees. There were areas on the bottom that reached a temperature of 39.6 degrees Celsius on the bottom. The temperatures clearly increased during load. We measured the maximum of 48.1 degrees Celsius in the upper left where the cooling system's vents are located. The temperature measurement on the bottom was partly over 50 degrees Celsius. The temperatures however always remained around 30 degrees Celsius in the wrist-rest area and thus allowed comfortable use. The power adapter also had more work in the stress test and got accordingly hotter. The measured rates had a maximum of 64.2 degrees Celsius in contrast to 33.6 degrees Celsius in idle mode. (±) The average temperature for the upper side under maximal load is 34.1 °C / 93 F, compared to the average of 31.1 °C / 88 F for the devices in the class Workstation. (-) The maximum temperature on the upper side is 48.1 °C / 119 F, compared to the average of 37.1 °C / 99 F, ranging from 23 to 69.8 °C for the class Workstation. (±) In idle usage, the average temperature for the upper side is 32.5 °C / 91 F, compared to the device average of 31.1 °C / 88 F.
(-) The average temperature of the palmrest area of similar devices was 27.8 °C / 82 F (-5.7 °C / -10.3 F). 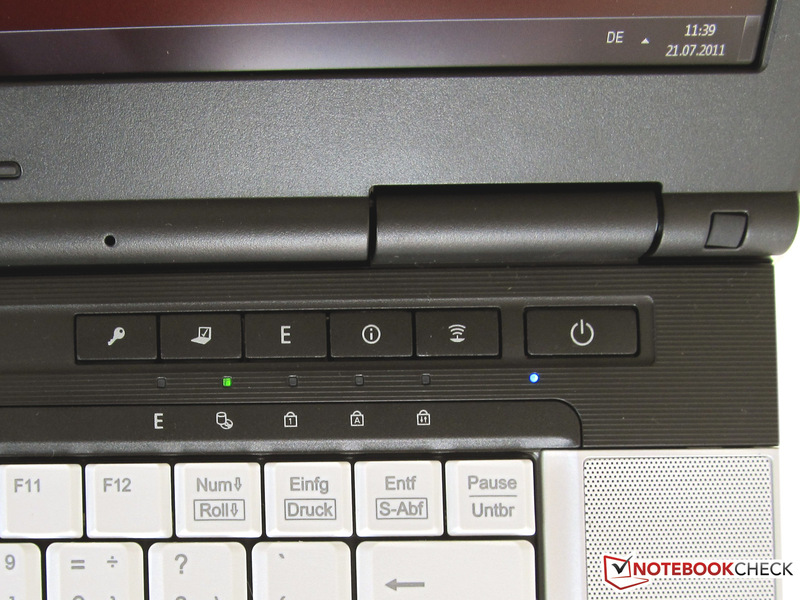 The laptop has two fairly large-looking speakers located on the keyboard's left and right side for sound output. The speakers' sound is good, but rather quiet. The sound isn't perceived as distorted even in the maximum volume. Unfortunately, there are no basses. 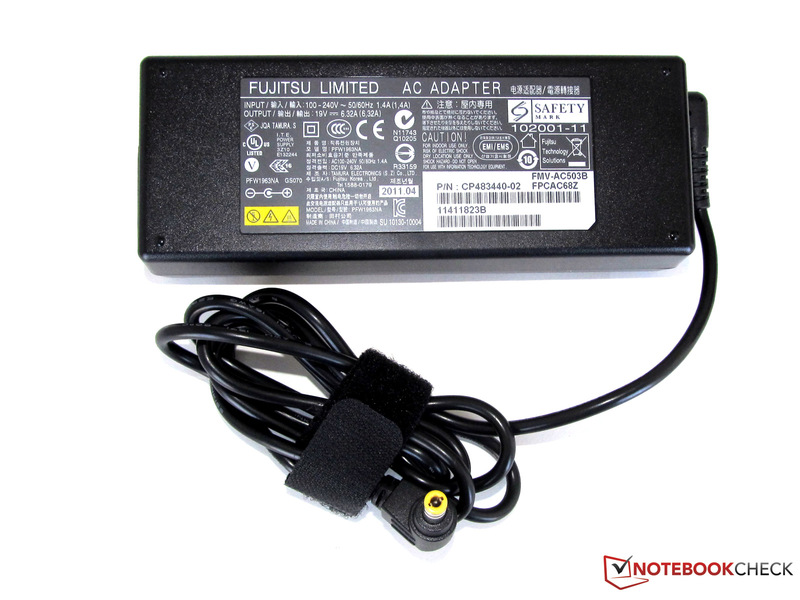 The Fujitsu laptops power consumption in standby mode is 0.7 watts. Up to 21.4 watts (maximum display brightness, no energy saving functions and enabled WLAN) are drawn out of the outlet in idle mode. The maximum power consumption, measured during full load, maximum display brightness, no energy saving functions and with enabled WLAN, was 117.4 watts. This was also clearly noticed on the 120 watt power adapter because it reached a temperature of up to 64.2 degrees Celsius in this test. 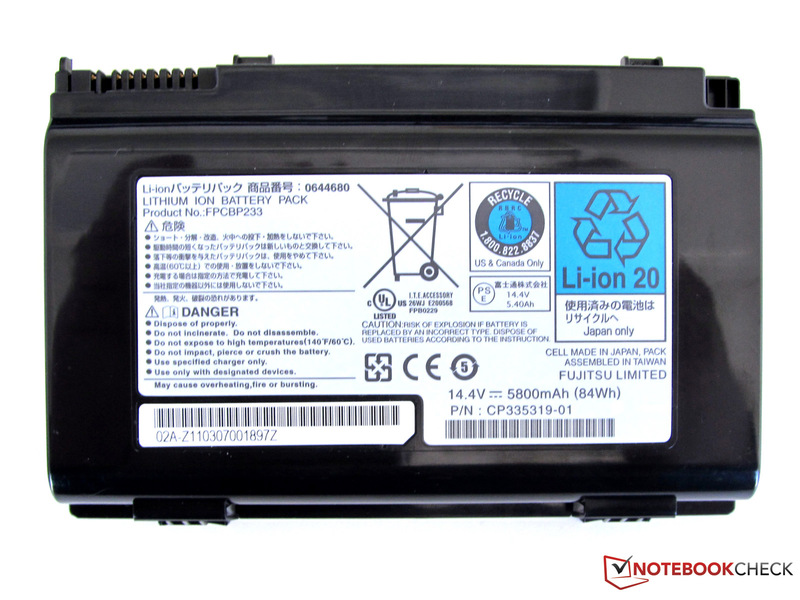 The Fujitsu H710 is equipped with an 8 cell lithium ion battery (84 watts) in the version we had. The battery's design is unusual. It's not elongated like in almost all notebooks, but more rectangular. We discharged the battery and laptop in various scenarios and recharged it again afterward to determine the battery runtimes. These processes were recorded with the program, BatteryEater Pro. The workstation managed a runtime of 1 hour and 2 minutes in the first round with the Classic test (maximum brightness, enabled WLAN, load). The battery achieved a runtime of nearly 5 hours (4:56h) in the Reader's test (maximum energy saving functions, no WLAN and minimum display brightness). Surfing the web via the installed WLAN was recorded with only 1 hour and 50 minutes in this scenario. We set the display to a good brightness here. All energy savings functions and WLAN were disabled in the DVD playback test where the battery didn't last for quite 2 hours: The laptop had to go back to the outlet after 1 hour and 51 minutes. The battery needed a long 191 minutes to completely recharge. The workstation, Celsius H710, from Fujitsu left us with a solid impression. 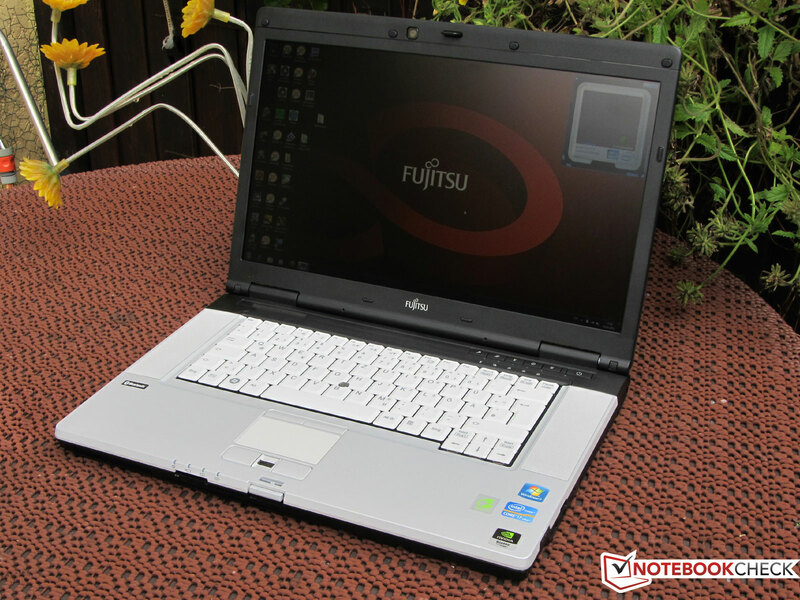 Fujitsu has made a good choice with the hardware duo consisting of an Intel Core i7-2820QM and an Nvidia Quadro 1000M. The use of a fast solid state drive (SSD) also gives the system the necessary and noticeable write/read performance. The Celsius H710's (model WXP11DE) looks need getting used to because the choice of colors partly makes a very dull impression. Not much has changed compared to the prior model, H700, and Fujitsu users find a familiar environment again. 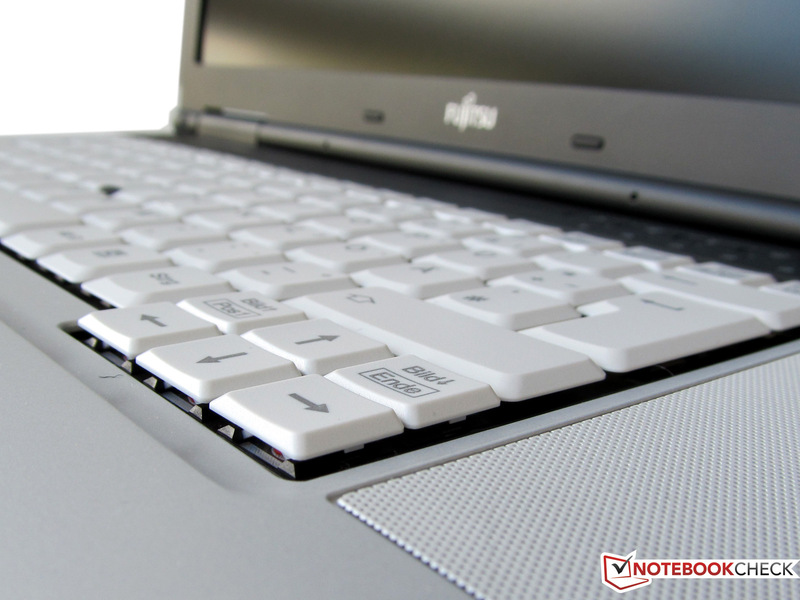 Fujitsu should have rather installed a full sized keyboard with a separate number pad and a larger touchpad, instead of the big areas for the only average speakers. Talking about touchpad: The touchpad is clearly too small to work properly with it due to its dimensions of 65x37 mm. 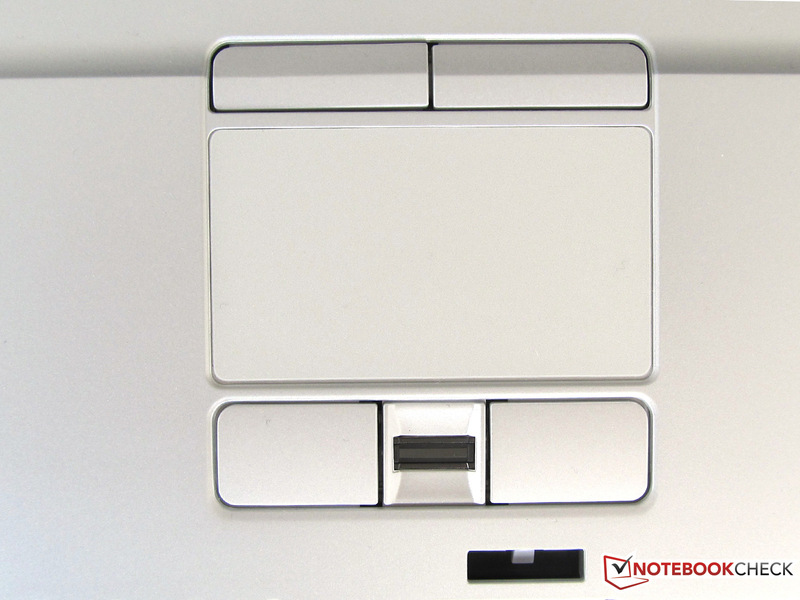 The fingerprint sensor's position is also not solved ideally because it is between the touchpad's front mouse keys. The battery life is quite modest for a 15.6 inch laptop with an 8 cell lithium ion battery of 84Wh. The hardware drains a lot of power from the battery even with selected energy saving functions. In return, the device's performance is right. 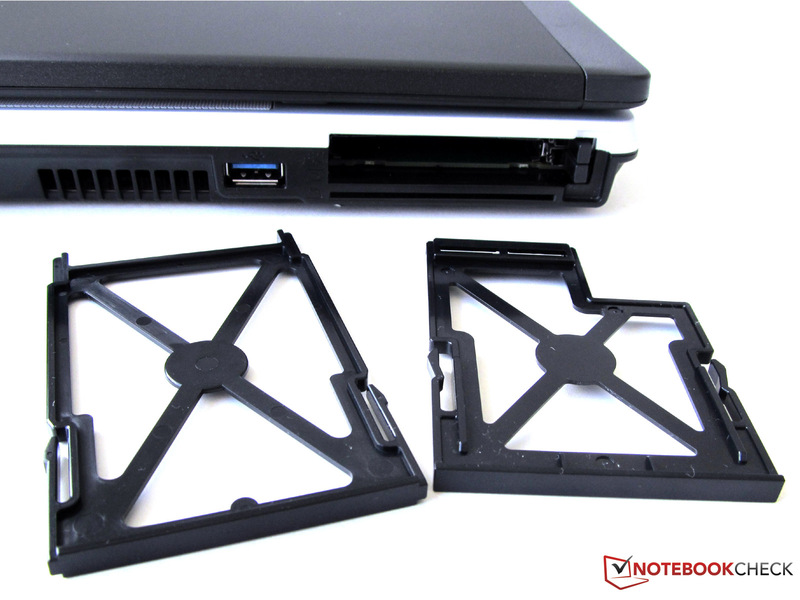 The notebook bids top-notch application performance thanks to the SSD. A bit more would be possible only in GPU heavy applications (3D/CAD) with the Quadro 2000M graphics. Fujitsu's 15.6 inch workstation seems attractive in view of the price, at least the entry version. Our test model, Celsius H710 WXP11DE, with a 2.3 GHz Intel quad core CPU, the Nvidia Quadro 1000M with a 2 GB VRAM, an 8 GB DDR3 RAM and a 256 GB SSD would however cost more than 2000 euros. 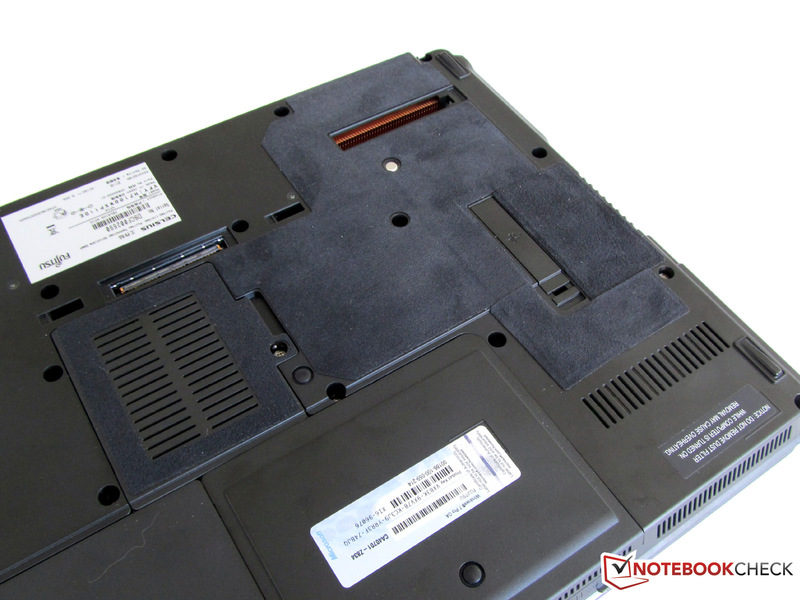 The DVD burner can be removed quickly. SSD in place of hard disk. Two 4 GB memory modules. Both DIMM slots are occupied in the H710. The notebook's bottom has been covered in leather in some places. The SIM card for the UMTS module is inserted here. Norton's 90 day Internet is also installed. 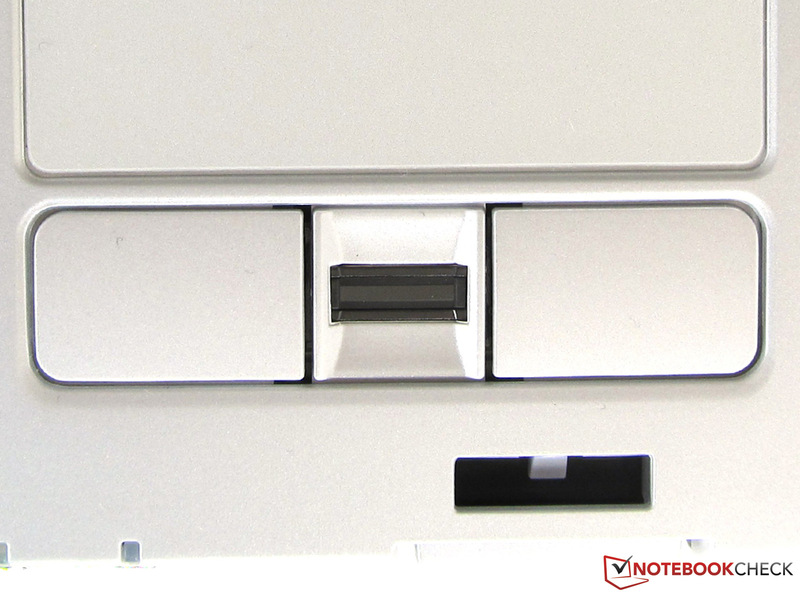 The card reader is located on the laptop's front. The case lid is very susceptible for fingerprints. The webcam is placed in the center above the display. Opening slots for heat exchange. LAN socket and display port interface are located on the rear. 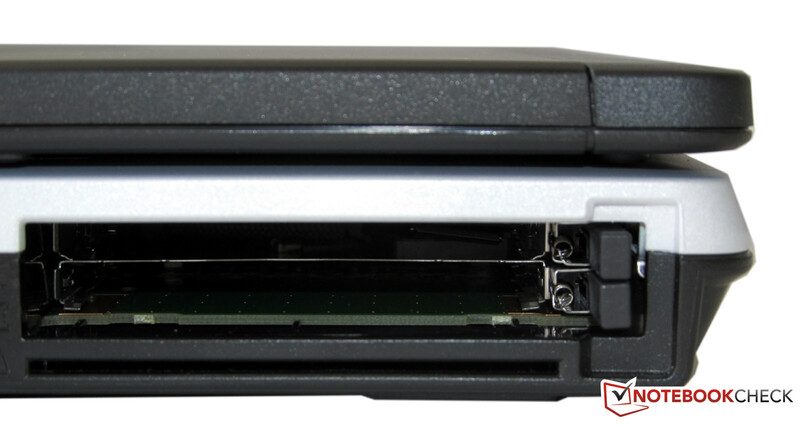 Two empty adapters are inserted into the still empty PC Card/Express slots. Empty PC Card and PC Card Express slots. Three USB 2.0 ports are on the laptop's right. The USB 3.0 port is on the left. 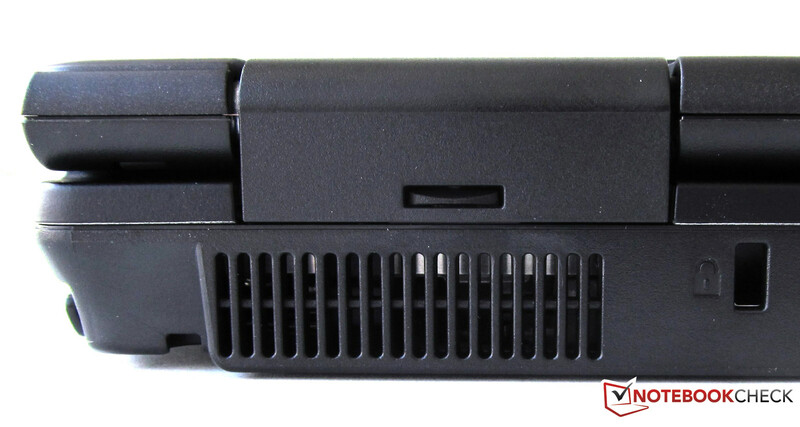 The eSATA socket on the rear (no USB combo support). We were very pleasantly surprised by the CPU and GPU performance. Just like from the cooling system's almost inaudible noise during office mode. The touchpad could be a few centimeters bigger. A keyboard including a number pad could prove valuable for CAD pros. That Fujitsu doesn't use the stronger Quadro 2000M graphics solution in contrast to the competition.